I'm sleeping with one eye open tonight. I wrote the review for Streetdance 3D the other day having watched the film twice - I'm the only critic that will put myself watching a film twice before I know I'm happy with my opinion - and a little bit of me is afraid I'll lose all the friends and contacts I've spent the past two years trying to accumulate! That's why I asked Kymberlee Jay, someone in dance in the position to provide an opinion, to accompany me to one of the screenings... but she was busy. There are so many dancers in the film, either as main cast, supporting groups (dancing in the background or used for routine shots) or as extras. It was choreographed by the best choreographers in the country (Will Tuckett, Kenrick Sandy, Kate Prince - you'll recognise the latter two from their choreography credits for Pied Piper and Into the Hoods, as well as So You Think You Can Dance). Lots of dancers were excited about seeing themselves in it. Fair do, those people are now part of UK film history and walked up the red carpet at Leicester Square, greeted by a crowd of paparazzi. But regardless of what the feeling is inside the community of street dance, I still think critics will pan it, and that's what worries me... you guys will hate me for being honest! It's difficult when you're part of a project so big, so unique, to see its faults. 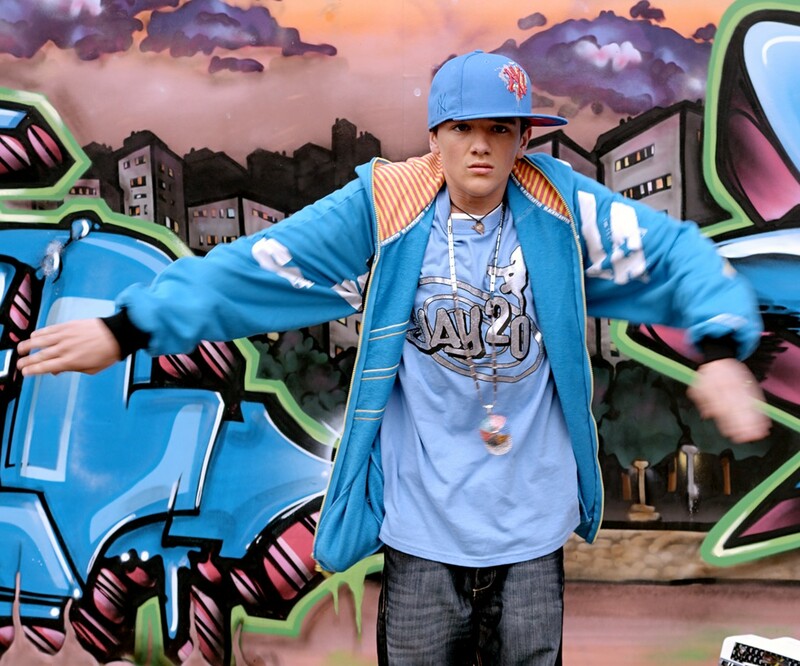 All of the groups are hyped about being part of it, the press interviews features dancers smiling and talking about how fortunate they are to be involved in the project, but Streetdance 3D still manages to fall under the category of cheesy teenage romance bundled in street credibility and marketed at teenagers. If it wasn't, then why does is it all centred around a soundtrack featuring N-Dubz, Chipmunk and, wait for it... Pixie Lott? Worried about coming across wrongly, I had the review proof read to make sure it didn't get too personal. Y'all know our dancers look dope - the dance scenes were what the film was all about! My problem with it isn't the people in it, but the way it's been produced and scripted (Jane English, the films writer is the write for Channel 4's Sugar Rush). As the flagship for UK street dance films, it should have done better. Maybe then it'll fare against Step Up 3D when it's released. I asked what Simeon Qsyea who appeared in the film as himself and is founder and choreographer of Birdgang with Ukweli 'Quails' Roach who plays the part of Jay (do you remember him from Blaze? ), what he thought. Having read the script months before the film went into production he said it was exactly what he expected. I've one key person in street dance on my side. Out of many. It still leaves me avoid eye contact answering dancers who were involved in the film what they though! I know the review I wrote for Streetdance 3D might not be everyone's cup of tea, but you have to remember, for dancers making the transition to the mainstream you're playing by someone else's rules. Below are the results from the Regional Conflict South 2010 in order to win a place in the UK B-Boy Championships finals in October. Full results of all the rounds (including qualifiers up to the semis) will be posted tomorrow on the main site - add our Facebook page to be notified. Winners of each round are highlighted in bold. Unfortunately I arrived too late to see it, but thanks to Pearl and Dean it's on YouTube for all to watch. There's also a cameo from Akai who, well, slightly kills it. It leaves me wondering - where was Diversity's performance? Hmm. In case you hadn't noticed, over on the site we're running promotions for Jonzi D Productions' show Markus the Sadist (read review), which is returning to the Bloomsbury Theatre next week - why, you can even buy tickets through us! Anyway, in the run up to this run of the show, Bashy (as the character of Markus!) and the promoters hit the streets of London to take advantage of people's good nature and highlight the show's satire. In the show, Ashley 'Bashy' Thomas plays the lead role of Markus, a talented emcee that sells his soul for fame and wealth... and all the stereotypes that go together with hip hop these days - American slang, gloryifying guns, and, as you'll see in the videos, pants saggin'! Somehow they even managed to corner a bemused X-Factor contestant Duane Flames before he caught a tube. These are some of the most ridiculous (and funniest) show promos I've seen, and they reflect the nature of the show exactly. If you haven't seen it yet, the dates for the limited run are 17-20 May. To read the interview I did with Bashy, and find out why we're excited about Markus the Sadist,head over to the site. 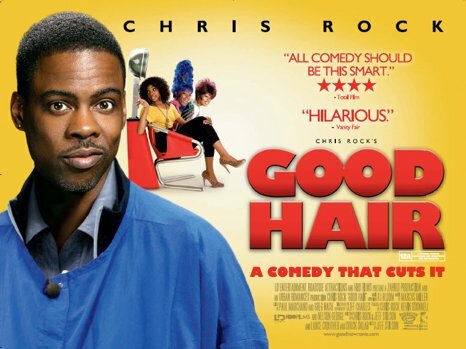 To celebrate the release of Good Hair which comes out in cinemas 25 June, we are proud to offer one lucky reader the chance to win a pair of tickets to an exclusive screening of Good Hair before anyone else gets to see it! Director Jeff Stilson follows Chris Rock on this raucous adventure prompted by Rock's daughter approaching him and asking, "Daddy, how come I don't have good hair?" When does Good Hair release in cinemas? Right now I'm on my way to see Thursday premiere for Streetdance 3D. Leicester Square, red carpet, press huddle. Celebrities? This is exciting. Streetdance was never meant to get this big, but then it started winning Britain's Got Talent several years in a row. A group of film directors got together, drafted up a script and its been in production for the past few months. Pow. There's two ways its going to go. It's great some of UK's best dancers are on screen. Same time, everyone's going to have to sacrifice a little piece of their soul so the film can be marketed to the mainstream. It's also aimed at a teen audience. How are critics going to rate it? Will the storyline be any good, or typical of other movies? And how will it look in 3D? Look a little closer at the poster: Kenrick Sandy and Kate Prince assisted in choreographing it. Even if it doesn't hit our readership perfectly, at least the dancing will look dope. Right? Grammy-nominated artist Matisyahu will release ‘Light’ on 21st June (100% Records), produced by David Kahne and featuring Stephen McGregor, Sly & Robbie, members of Fishbone and more. Light which debuted in the top 20 on the US charts, finds the Hasidic Jewish musician from Crown Heights, Brooklyn displaying his one-of-a-kind voice in a variety of diverse genres, moving through his familiar reggae-soul stylings to dancehall, ska-inflected new wave, pop-rock and acoustic folk. Matisyahu blends infectious melodies and intricate production with classic messages of hope, peace and understanding to create a sound that is undeniably his own. Produced by David Kahne (Paul McCartney, Regina Spektor, Sublime), Light was recorded and mixed in Jamaica, New York, Los Angeles and Virginia. More recently, Matisyahu cut two more tracks with producer Dave McCracken and the Smeezintons. Of those two, One Day will be the first single from Light. It is an anthemic classic reggae track, showcasing Matisyahu's prolific lyrics and passionate vocals. In addition Matisyahu has re-recorded One Day with heavyweight R&B star Akon as a bonus track. Several guest artists contributed to the record: son of legendary reggae artist Freddie McGregor and one of Jamaica's most innovative producers Stephen McGregor, ground-breaking Jamaican reggae rhythm section Sly & Robbie, noted production team Eric Krasno & Adam Deitch of Fyre Dept. and Fish and Norwood Fisher of the L.A. alt-punk-ska band Fishbone. Jamaican nyabinghi drummers Delroy Williams as Putus Roots, Samuel Count Ossie “Time” Williams and Nambo Robinson and experimental turntablist Ooah from the Glitch Mob, amongst others, also contributed to Light. Track number 8 from the album On Nature is now available for free download from Matisyahu’s site matisyahuworld.co.uk. 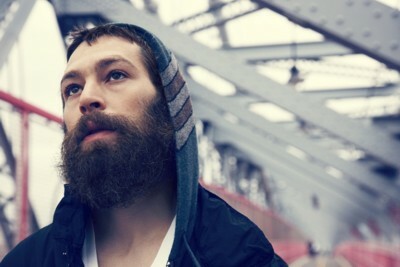 Matisyahu emerged in 2004 with his debut album Shake Off the Dust…Rise. With the release of Live at Stubb's (2005), which reached #1 on Billboard's Heatseekers chart, and Youth (2006), which debuted at #4 on Billboard's Top 200 and reached #1 on the Reggae Albums chart, Matisyahu gained considerable critical acclaim. Both albums subsequently went gold in the US and ‘Youth’ was nominated for a Grammy for Best Reggae Album. Over the last few years Kingslee ‘Akala’ Daley, 26, has emerged from London’s hip hop underground and into the mainstream as one of the leaders of a new British artistic renaissance. Bursting into the underground scene in 2004, he made history by being the first unsigned artist to have a video appear on MTV UK’s ‘TRL’. 2006 saw his first album It’s Not A Rumour drop with trance-sampling smash single Shakespeare being play-listed and championed on BBC’s Radio 1 via the support of influential DJ, Zane Lowe. The album received critical acclaim and earned Akala the ‘Best Hip Hop Artist’ award at the 2006 MOBO awards, beating Kanye West. Reflecting the disorder and flux of contemporary life, Akala’s second album Freedom Lasso was an energetic visionary essay on modern life, drawing influences from the whole spectrum of music – rap, rock, electro, punk and folk. 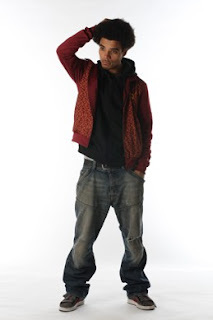 Summer 2010 see’s Akala return, poised to flip-turn the UK music scene once again with his third effort. DoubleThink is the incredible new album from Britain’s acclaimed hip hop artist, Akala, released nationwide on 3rd May 2010. DoubleThink documents harrowing moments of city life: in Yours and My Children, a track reflecting three months Akala spent in Brazil he talks about Favela children being killed by police. But Akala's unquenchable appetite for intricate wordplay and his teacher's instinctive awareness that heavy topics need to be got across lightly mean that, despite the often serious points, the record is an affirmative and often explosively joyful experience.